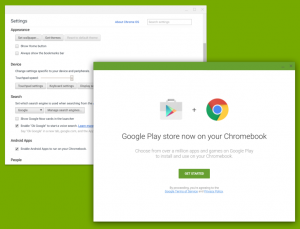 It seems that Google may unleash full Google play Store access on their Chrome line of products. Google play Store will allow you to run more than a million Android apps on your Chromebook at first, expanding such functionality then into Windows, Mac OS and Linux based computers, available through their Chrome web navigator. Some time ago Google started a project called “App Runtime for Chrome” (ARC). They closely worked with a few selected Android developers, allowing for a handful of selected apps to emerge on their Chrome Web Store, as some kind of “proof of concept”. Some users at reddit are discussing this partially hidden, still “under construction” new feature, included in Google’s latest Chrome OS release for chromebooks. When will Android apps run on Windows, MAC OS and Linux ? Surely Google will unveil some details on GOOGLE I/O event this year. The only information emerging on the Internet at this time comes from some power users that got curious over this new development and started peeking and poking inside Chrome OS code. Maybe Google will also include Chrome extensions and Themes into their Google Play Store offerings, effectively replacing the -by now oldish and somewhat neglected- Chrome Web Store. If you want to run Android on your PC, including your favorite Android games and apps on either your Mac or your Windows based PC, then you should try Andy, the Android emulator. According to their website, Andy is robust, fully featured Android emulation software that will allow you to install and run your usual Android Apps on your PC, even the difficult ones, like Whatsapp. Andy emulator includes full support for ARM processors (the vast majority of Android devices out there are fueled by ARM based processors), hence all your favorite apps will run perfectly well. Just in case, Andy is also compatible with apps compiled for INTEL x86 processors. You can use your Android device as a wireless gamepad or joystick. Once coupled, It will send your input including the gyroscope and accelerator data which means that you will be able to play your favorite games on your computer at blazing speed, while controlling them with your native Android device movement and multitouch input. There is a seamless integration between your Android device and your desktop computer, while you can enjoy the increased storage space on the latter. Furthermore, this integration extends even into your OS desktop: You can launch your favorite Android apps right from there. You need at least a dual core processor, with an enabled hardware virtualization engine (called AMD-vt or Intel VT-x, depending on your processor brand). You will also need at least 3Gb of ram and 20Gb of hard disk space. On the graphics side you’ll need to have an OpenGL ES 2.0 compliant graphic card. Last -but not least- what Andy Android Emulator won’t require, is your money, as it is free. Interesting times ahead, for Android devices and the whole hardware scene, backing it up. Specially for the China’s based Rockchip company and its actual flagship processor: The Rockchip RK3188, which -needless to say- can cope nicely with android on PC devices. At low cost. The surprisingly powerful and versatile RK3188t is a quad core cpu chip, based on ARM A9 Cortex core. It can be clocked up to 1.8 or 2.0 Ghz. Designed for driving up to 2 megabytes of RAM, includes a MaLi 400 graphics co-processor. This is more than enough foundry for any Android device. 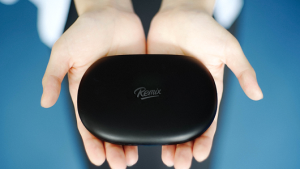 Until second quarter of 2014, The RK3188 will be Rockchip’s flagship, mainly targeted for tablet devices, but surely enough more than suitable for Android mini PCs. It includes an ethernet port, HDMI port, four standard USB ports, microSD cardslot, and even an analog A/V female port, which can be used with a provided A/V cable. It also includes a 5 megapixels camera, an embedded microphone, and -of course- a WIFI adapter (including an external antenna). Lastly, it also comes with a Bluetooth chip. Definitely, the Rikomagic MK902 comes packed with a plethora of connectivity, out of the box. The Rikomagic MK902 makes full use of the Rockchip RK3188 processor, including 2gb of RAM. On the storage side, it can be purchased in 8gb and 16 gb flavors. The whole hardware thing is backed up by Android 4.2 Jelly Bean. 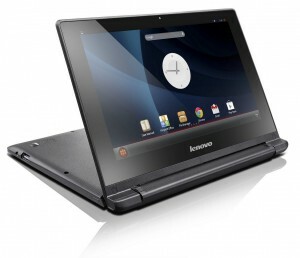 But then again, it may also be offered with Ubuntu preinstalled on it. Now you may be wondering about the price. 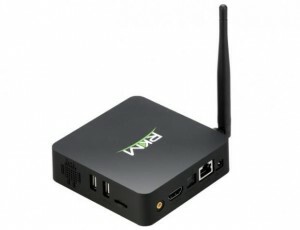 This packed Android mini PC comes with a reasonable price tag ranging from USD 109 up to 143 USD, depending on the store you purchase it. By now it is evident that the global market is finally accepting the concept of Android on PC desktop, as yet another hardware flavor for Google’s operative system. Main brands, like Acer, Dell, Asus, etc. are steadily jumping into the Android on PC wagon with their All-in-One PC and overhauled big tablets running the internet-centric OS from Google. Yes we know, right now, this is yet a rather lazy, ongoing development, but it certainly looks promising under our eyes. There may be quite an upwards jump in the near future, as you probably read about it: Rumor has it that tablets are going to outsell PCs in the near future -as early as within a year-. This will probably close the gap between Android and your desktop computing experience, coming into therms on a middle-ground, full of AIO and big Tablets which will allow the common user to share the same apps, games and internet experience through the mobile and desktop scape. But then again there is a very obvious “someone” lagging behind, on the verge of this interestingly massive, dawning niche. Intel seems to be a bit slow on planting their feet on the mobile-ish Android on PC concept. Why ? Well, in our opinion, Intel might be suffering from a lack of enthusiasm, as the result of their feeble early experience, when the first smartphones where born (smartphones 1.0 Era, we shall call it). We are talking about Microsoft Windows CE and Windows Phone OS, Symbian OS, Palm OS, etc. Intel did take some baby steps at that time; We recall their PXA250 and PXA270 processors, mainly used for running Windows CE / Phone and even some Linux mobile phones and mini-tablets like the Sharp Zaurus PDA / tablets. That early smart mobile world so ninety-ish, 2oth century era, is beyond dead now and certainly Intel was part of that process. Now it seems that extra caution is the rule on the smart mobile path, for such a big structured company. Maybe new Smartphone 2.0 Era opportunity is being distilled with a bureocratic rancor, even. Sadly enough (for Intel) early attempts of introducing Intel to the “Android experience” where made “from the outside”, with projects like Android x68 porting to standard intel processors. 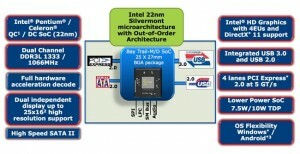 But then, in this last two years, the giant Intel seems to be finally awaken and in motion, first officially sanctioning an in-house porting of Android to their processors family and now suggesting their newest “system on a chip” products, mainly based on dual core Celeron’s and Pentium processors and HD graphics. While at it they are actually throwing in USB 3.0, SATA 3 and PCI Express 2.0 I/O capabilities.